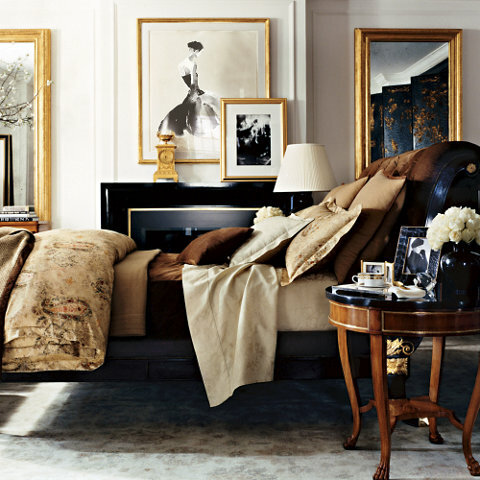 Everything about this boudoir is handsomely elegant. Be bold in a bedroom and use dark colours, wood and gold trim! A space like this never goes out of style.